Are you still optimizing for “keyword strings”? You are not alone! The problem is, the industry is moving on, so don’t fall behind and learn to implement a smarter approach to keyword research: Keyword clustering. Single-keyword SEO has been a staple for a long time. Remember how we used to have a separate page for every tiny variation of a keyword? At that time we’d optimize for [restaurants in Italy] and [Italy restaurants] using two different pages, one for each keyword string. It is how we all probably got our start and saw (and still see) our traffic flourish and ranking climb. It was a fun time, but deep down I am glad it has passed. Google’s search algorithm has outgrown that method of optimization. Sure, it may still work. In fact, most of the newest and most popular WordPress SEO plugins are still based on that “single-string” method, so most bloggers rely on it. But the more sophisticated algorithms expanded beyond the scope of a single-topic focus. Even keyword research that finds the perfect sweet spot between popularity and saturation is no longer a guarantee for success. In-depth content covering a variety of related concepts and entities is winning more and more often these days. More and more we are seeing the use of keyword clustering from sites that are making it beyond the scope of mediocre search results and traffic margins. In other words, the big guys are bringing out the big guns, and we should be following in their footsteps. What is this keyword clustering? OK, so this isn’t really new. I for one described a tactic of keyword grouping back in 2007. Back then, however, I didn’t know the term “keyword clustering”, and used Excel instead of much easier tools. A better way of explaining it would be that it is gaining traction with more people (and growing buzz terms around itself). Simply put, it’s keyword grouping categorized by (1) a common secondary keyword modifier which is how most tools approach it or (2) Google’s search engine results similarity (which is something I’ll describe below). At the heart of it, keyword clustering is what it sounds like: you are taking relevant keywords and clustering them together into groups. Those groups work together to give your website a more thoroughly categorized theme, which in turn helps to establish its purpose and attract those crawlers that tell Google that page is one they should bump up the list. How on earth are you going to optimize your content for all of these phrases? Don’t worry, figuring this list out doesn’t have to be a manual process. 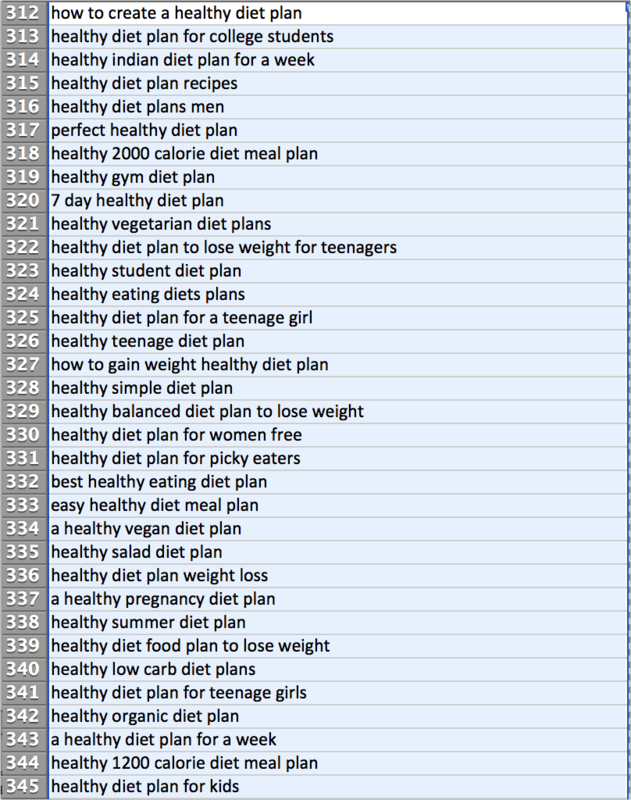 There are some keyword grouping tools out there that make it much easier to get through. I personally use Serpstat because it provides one of the best SEO tools in the market in my opinion. [Disclaimer: Because I blog on them so much, Serpstat reps approached me and gave me free access to their PRO tools]. However, other providers such as Wordstream and Spyfu offer keyword grouping tools, so choose the option which fits best with your existing tools and workflow. It is a keyword clustering automated system that does a lot of the work for you. But unlike most other tools, it doesn’t bog you down with centralized terms that impact your clusters. Instead of simply grouping the keywords by the centralized term (like most clustering tools do, and like I did in my Moz article from 2007 referenced above), Serpstat also uses their own “connection strength” metric which looks at how many identical URLs those multiple search queries trigger. You can choose between soft and hard clustering to determine how closely related terms should be within one group – a very unique approach to clustering keywords. To get into more detail about how the tool works, read this article describing their method. How should you optimize your content now? Let’s make it clear: No, you don’t need to take one of these groups and fill your content with all the keywords from within it. What you can do instead: Look at those keywords and take main concepts to cover in your content. Each group can become your separate guide, or it can be a subheading within a more comprehensive article. Keyword clustering isn’t the optimization technique, nor does it bring anything fundamentally new into a SEO strategy. You still need to create high-quality well-researched content targeting users‘ demand. What keyword clustering does is help you make sense of your keyword strings and turn them into meaningful concepts. How can this method help me? Any time you cluster your keywords, you are improving your SEO, period. Instead of trying to compete with a single phrase, you will be targeting keywords page by page based on a collection of phrases for each theme. How this helps you is pretty obvious: better ranking and more traffic. Specifically, it is better ranking and more traffic against competitors who are almost certainly already using this method of SEO, which is one of the reasons they are doing better than you are. This also diversifies your tactics. Where once consistency in a single model was key, things have changed. That more sophisticated algorithm mentioned above means better, more complex strategies are needed to keep up. My favorite way to put it: Grouping keywords helps you get a better grasp of your niche. It forces you to cover more concepts and answer more questions within one page than you’d think of without going through the process, so the most important benefit of keyword clustering is that it makes your content (and hence) your site better, more useful, more trustworthy and more comprehensive. Know a tool that should go on this list? Let us know in the comments!